I am off early to the Bernard farm near Lake City, Michigan. Michigan has over 11,000 lakes, so the odds of their being a Lake City were always high, and there it is. 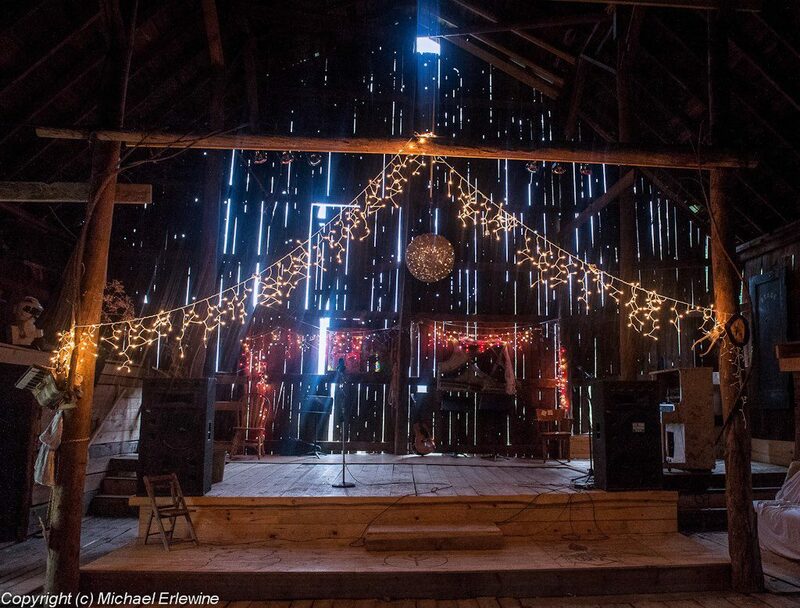 The venue this coming weekend is the annual Harvest Gathering, a convocation of musicians, this year some 110 bands, which means hundreds and hundreds of musicians, four performing stages, and three days of music and community. This is an experience not to be missed I can assure you. If you live within driving distance (or have other ways to travel), grab a tent and get here however you can. Years from now folks will still be remembering and writing about the seminal collective-mandala called the Harvest Gathering. I meet so many young people who know something about my own past and tell me they wish they could have been present in the 1960s. Well, the Harvest Gathering is the closest thing I have ever seen to what happened back in "The Sixties," so here is your chance. This landmark event is happening right now and right here in the present. You have no excuse. Aside from music, music, music, there is the local produce coming from all over, literally the harvest, to be cooked, stewed, roasted, and raw to feed us. If vegetables are not enough, there is organic beef and incredible breakfast burritos made with organic pork and the most delicate rubs of spice, not to mention pizzas, paella, and all kinds of exotic coffees, but I digress. And there is community, community, community, old friends and new friends, and hugs all around-- all ages, all races, all creeds. And there you will find me, in a little 10'x10' white tent, offering meditation instruction to all comers. Come and spend some time with me, plus most of my family will be there, including my granddaughter, the much-admired Emma, who is now going on three-years old. She looks forward to riding around with grandpa in a golf cart. I have got ear plugs for the late night performances. I have plenty of outdoor clothing if the weather is inclement. I have a warm place to sleep, which many others won't have, especially if it rains, so I am good to go. You never know when you might just surprise yourself, jump up, make arrangements, and get yourself to the Gathering for an experience you will never forget, that is, if you still have a modicum of play left in your internal surprise event-generator. I hope stranger things have happened in your world. As my first dharma teacher said to me, many times. "Michael, this is it! I will be posting in the coming days from on site at the Harvest Gathering, Internet connection permitting.